Transform your life with advanced chiropractor care to achieve best performance with treatments for back neck pain relief. 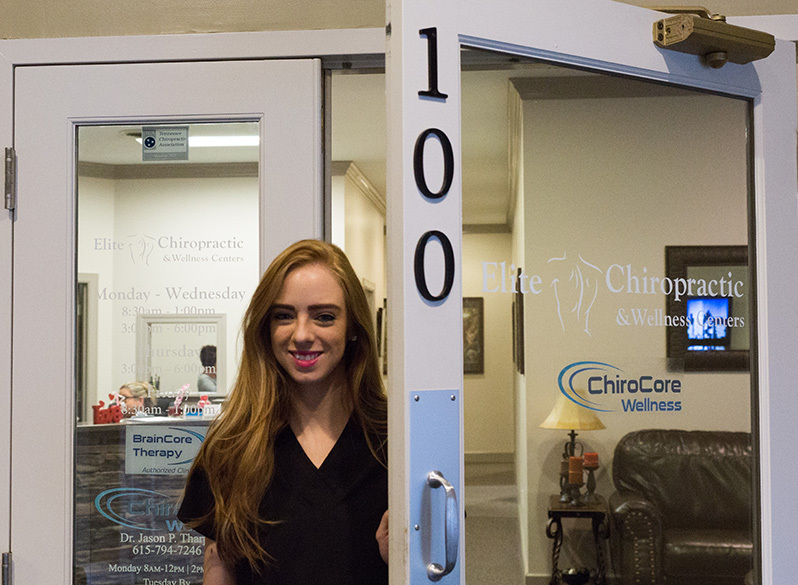 Elite Chiropractic & Wellness Centers specialize in a holistic healing approach using the latest chiropractor technology for your entire family. Not just a chiropractic clinic but an overall health and wellness center at 360 Cool Springs Blvd. in Franklin, TN. Acupuncture is a method of encouraging the body to promote natural healing and to improve normal function. This is done by inserting needles and applying heat or electrical stimulation at very precise acupuncture points. Chiropractic adjustments can be used to correct the misalignment, which in turn helps enhance joint mobility, reduce pain, reduce muscle spasm, and reduce nerve irritation or impingement. 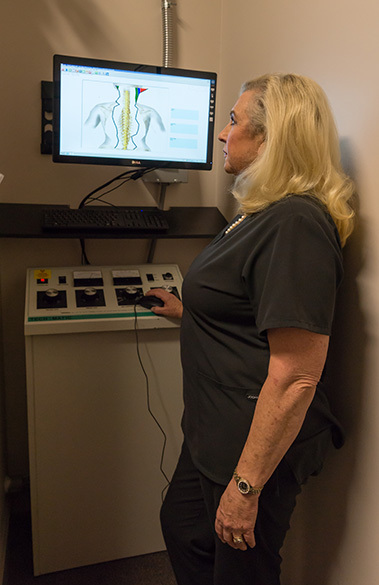 BrainCore Neurofeedback goal is to improve the brain’s ability to self-regulate, maintain flexibility, and smoothly shift between states of relaxation and arousal. Massage Therapy is extremely beneficial for the overall well being of anyone. For thousands of years, healers have recognized the effects of various massage techniques for maintaining a strong, healthy body. MedX Core Exercises are one of the most effective treatments for chronic back and neck pain. 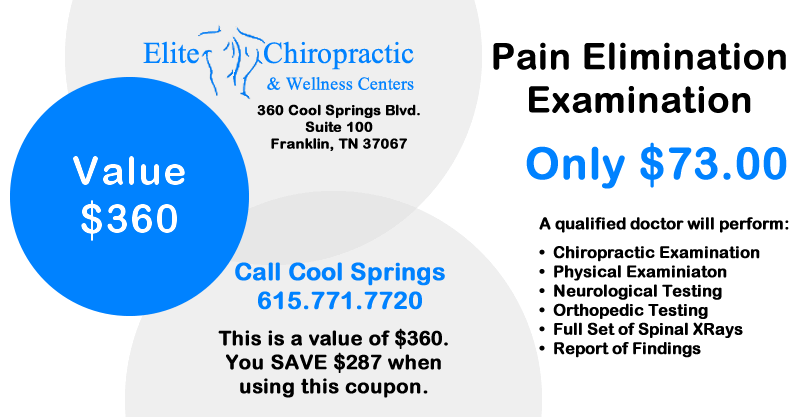 You will find various forms of Therapy at Elite Chiropractic & Wellness Centers in Cool Springs. We will recommend the therapies that will give you the best results for your specific problem. As we age, we are more prone to injuries because we start losing important cellular proteins and factors that contribute to healthy joints and bones. Stem cell therapy restores the balance in the injured tissues by enhancing the body’s own natural healing process. Definitely coming here for the foreseeable future for my back needs! The entire staff is professional and offers help however they can. Dr. James Stucki makes me feel comfortable and is very talented. After my acupuncture treatments, I always felt better right away. I probably wouldn't have ever tried it if it hadn't been explained to me and suggested at the office, and it's turned out to be amazing. I visited Elite Chiropractic for spinal decompression and adjustment. I already had five visits and so far it's going well. I feel relief in the back pain and in my legs. I am a native to Franklin TN and I have been using Dr. James Stucki for all of my chiropractic needs. He and his staff have always delivered phenomenal customer service. 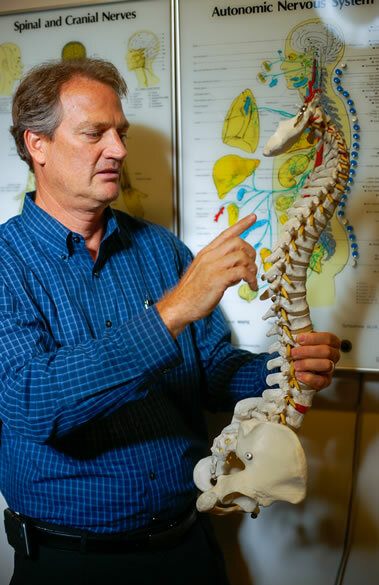 Dr. Stucki offers a wide variety of chiropractic services such as spinal decompression as well as acupuncture. Dr. Stucki is very thorough! This is the kind of place you want to go. I was in town from Michigan and they took care of me. Thanks!